The classic tale of tiny Thumbelina is brought to life by Elsa Beskow’s charming illustrations, available in English for the first time in thirty years. Thumbelina is so tiny that her bed is a walnut shell and her bedsheet a rose petal. 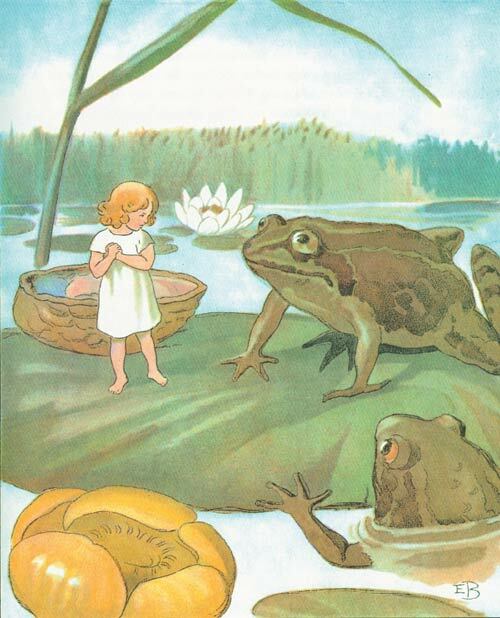 When a toad steals her away and keeps her on a lilypad, she doesn’t know what to do until some fish set her free. 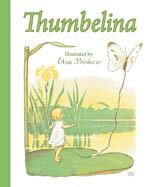 Wandering through the countryside, Thumbelina tries to find a new home with new friends. A classic tale, well told. A beautiful edition to any shelf of fairy tales or for collectors of Elsa Beskow’s delightful drawings. 32 pages, 8 1/4″ x 10 1/4″, 2016.